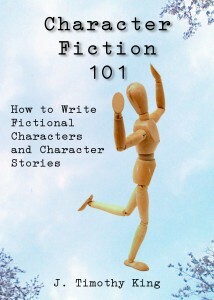 I’m working on an ebook, entitled Character Fiction 101: How to Write Fictional Characters and Character Stories. I plan to give the ebook away for free, for a number of reasons that I lay out in the book’s introduction— Mostly because I long to see more online authors turn out high-quality character stories. Many of the stories I read hit-and-miss at best. I’m hoping that authors will explore the ideas I’m overviewing in this book and that they’ll integrate them more fully into their stories. BTW, I also plan to release the book in print, probably at a nominal price-point, because the book is only an overview (probably about 100 pages) of an exceedingly deep subject area, as deep as the human psyche. UPDATE: Early April, and I’ve discovered it’s going to be weeks before I finish, because I’m extending the content, in some cases by an order of magnitude. But in the meantime, I’m posting extracts from the new content on this blog. For now, I have managed to put together an outline for the book, which I’m including below in the form of an extended Table of Contents. How do you know you’ve got character? But… people do crazy things! This book sounds wonderful. When will it be available online or in print.